We’ve previously seen EA SPORTS do some collaboration with some of the most popular adidas football clubs in the world, and now they’re ready with a new jersey, which is a jersey that only is available in the FIFA Ultimate Team Mode and at Unisport! The EA SPORTS jerseys are in general a very popular feature in the FIFA 19 Ultimate Team Mode, as the players can customise their club after their own wishes. EA SPORTS is slowly getting more and more jerseys out there for you to get, and now they are ready wit ha new exclusive jersey, as they have teamed up with FOKOHAELA, which is football jersey designer, to create the Northern Lights jersey. 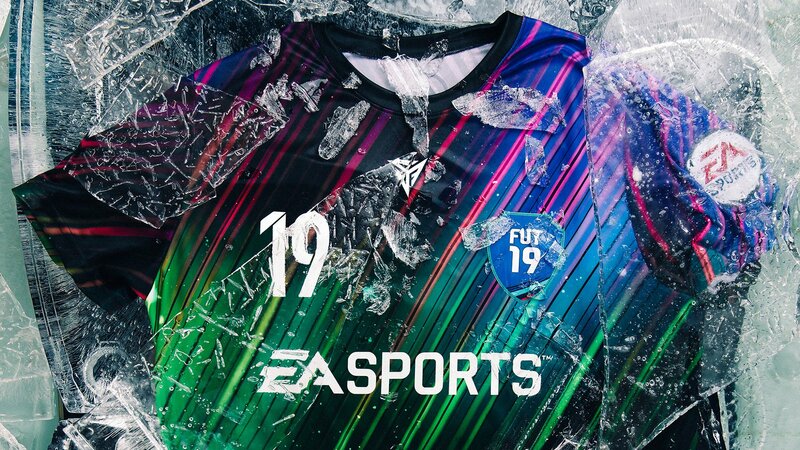 The Northern Lights jerseys will only be available in FIFA Ultimate Team Mode and exclusively at Unisport, as we’ll be the only retailer to get these Limited Edition EA SPORTS jerseys. The Northern Lights jersey is inspired by an Aurora Borealis, which also is known as Northern Lights. Aurora Borealis is caused by collisions between electrically charged particles from the sun, that enters the earth’s atmosphere, and this created a show of colour in the dark evening sky. Some people in the Northern part of Scandinavia have been lucky to experience this, as location in the northern parts of Sweden, Norway and Finnish Lapland are the best places to experience the Aurora Borealis. The EA SPORTS jerseys will bring a piece of Nordic nature to the football fans all over the world, and are you a diehard FIFA Ultimate Team fan, or a person that takes the Ultimate Team lifestyle serious outside the virtual pitch, then make sure to check out or raffle today at 19:00 CET at Unisport!